Forshay is a recruitment company in San Francisco that focuses on creating better working environment. We worked with diversity and inclusion (D&I) consultant team of Foshay. It wants to create a mobile app that could be used as a substitution to D&I training session. As project was at the still at the brainstorming stage, we helped on a product strategy. 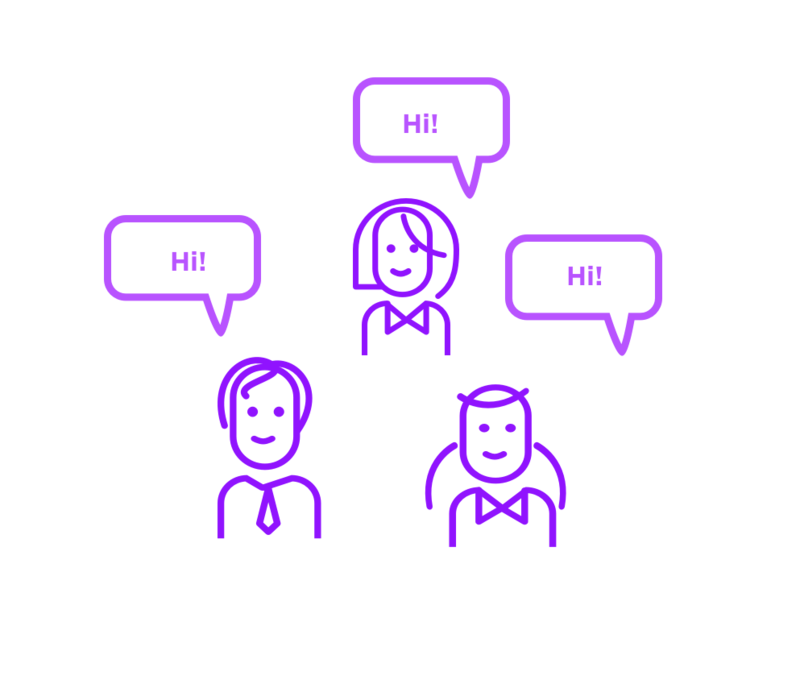 Meet Diva, Diversity and Inclusion Training chatbox. To understand the best D&I training method, we interviewed stake holder (Forshay) as well as few other diversity consultants which work with our school. We learned that training sessions done in a smaller group is best. Because people have time to talk about their experience and feelings. Also, it is easier to open up and talk about their experience. This project has two kind of users: companies and employees. We talked to both parties to understand the problem. Through that, we identified 2 insights. Hiring D&I consultants is expensive. Companies hire D&I consultants for management staffs but not for all employees. Few implement D&I trainings for employees. Two main training methods are in-person lectures and online trainings because those can accommodate large volume of employees. Employees feel that trainings they are getting ( In-person lecture/ online) are not engaging. Also, they feel they are not practical. So, How might we create an effective and engaging inclusion training at low cost? According to Forshay, most effective D&I training is done in small groups. Smaller groups allows people to be more open while being engaged. With its advice, we came to idea of creating a digital facilitator: Diva. Diva is a mobile app that facilitates group D&I training sessions. Diva can schedule group trainings and guide the training by talking to the group. Diva allows company to conduct training as many time as it required, therefore it is cost efficient. For users, group training is more engaging than online or lecture sessions. Employees are asked to book training online via accessing the link. Link from the email to verify the user. At the time of training, employees are asked to meet at the designated training space. Till going to training space, they are not informed of attendees. Diva will be there to greet everyone. Because training is conducted for the busy working professionals, there are cases where people are late or not be able to attend trainings. At the start of training, Diva will check who is in the room. To make participants feel comfortable, training start from ice breaker. Different kind of icebreaker available. Diva will select most effective icebreaker for the team analyses participant's profile. After warming up the team, Diva will explain what is to learn by this training. Depends on profile of the group, Diva decides on giving lecture, doing some exercise or quiz. There are various exercises available to teach inclusion. Diva will choose the most suitable exercise for the group. Have fun, enjoy while learn to be inclusive. To get the best out of training, it is important to reflect on what has been learned. At the end of session, Diva ask people to reflect on the training and discuss. Diva will also ask attendees to write feedbacks to improve future trainings. We conducted user research by interviewing company / employees and also attended inclusion workshop. After collecting all the data, we created affinity map to find user insights. To clarify the findings, persona, empathy map, user journey map were created. After identifying the user insight, we created problem statement and ideate the solution using the technique called "design studio" . In design studio, each of us comes out with as many ideas as possible to solve the problem. After repeating this exercise for few times, we wrote down our idea on the post it notes, evaluate each idea against the success criteria we created earlier. We nail the concept down to 3 and presented to the classmates and client to get their ideas. Testing requires time and man power. Before proceeding to concept testing, we created service blue print and business model campus to validate the feasibility of the concept. After testing the concept, we moved onto designing interfaces. Also, we created mode board for visual representation of Diva, sketched out how it could look then decided on her looks. As we test out prototype, we received three kind of negative feedbacks. We tested the prototype with people and we realized that people are not comfortable using their phone for a group activity. Phone is a private property and they do not feel comfortable using it in the group. With this feedback, we came to idea of creating a chat box - chat bot in a shape of box. We created a prototype using cardboard and iphone. And having physical presence was well recieved . As training is in smaller group, engagement level was higher than lecture or online courses. But we realized that we need to design the training itself to be more interesting and engaging. So we conducted research in different training methods and got feedback from clients to hear if they feel the trainings are working. Feedback 3: “Having training with people I do not know feels awkward"
Some people feel uncomfortable meeting people for the first time. Experiencing this awkwardness is good practice to have open and inclusive mind. But also, if the person cannot opens up because of uncomfortable feelings, training will not be effective. We redesigned how the training is structured so it will be easier for people to opens up. Also, we realized that depends on group dynamic, training should be designed differently. It is because what group can learn changes depends on who is in the group. This made us realized that there has to be a algorism that can tailor trainingsT to meet the profile of group dynamic.